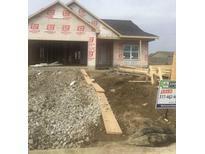 Below you can view all the homes for sale in the Keystone subdivision located in Greenfield Indiana. 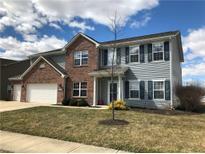 Listings in Keystone are updated daily from data we receive from the Indianapolis multiple listing service. To learn more about any of these homes or to receive custom notifications when a new property is listed for sale in Keystone, give us a call at 480-577-2304. Walk In Closets in all Bedrooms. MLS#21627757. Carpenter, REALTORS®. Water views to enjoy off your patio and adjacent to protected corner lot where no home will be built. Welcome home! 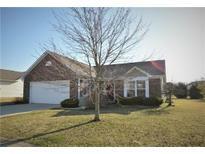 MLS#21628531. Carpenter, REALTORS®. 3 bedroom 2 bath ranch with a flex room Home Features: Extended Porch Craftsman Style Porch Columns 9' Ceilings Tray Ceiling in the master bedroom Staggered kitchen cabinets with an Expresso stain Large kitchen island High-Def kitchen counter tops Cult Marble Bathroom Counter Tops Garden tub/shower combo in master bath Double vanity in master bathroom Black appliances - Range, Dishwasher & Microwave Upgraded flooring through out MLS#21623303. Ridgeline Realty, LLC. 3 car garage & storage space galore. BIGGER is BETTER! MLS#21614635. F.C. Tucker Company. Close to schools, shopping, restaurants and hospital. Short commute to Indy! MLS#21615677. Carpenter, REALTORS®.